Every year I get my two boys a little something for Valentine’s Day. Nothing big, just little trinkets to mark the day. As they’ve been getting older, and I’ve been thinking about it more and more, I’m realizing that they have so many coloring books and little toys, and it would be nice to get them something new and more exciting to mark the day. A gift basket never crossed my mind – until now! Thanks to 1-800-Baskets.com, I’m seeing gift-giving for my boys in a whole new light. It was nice to be able to enjoy some tasty treats with my boys – they went wild for the white chocolate covered pretzels. I like the hard candies as a quick little afternoon pick-me-up. My oldest has claimed the gorilla plush as his own, thankfully my little guy was gladly willing to trade him for the big chocolate covered pretzels! 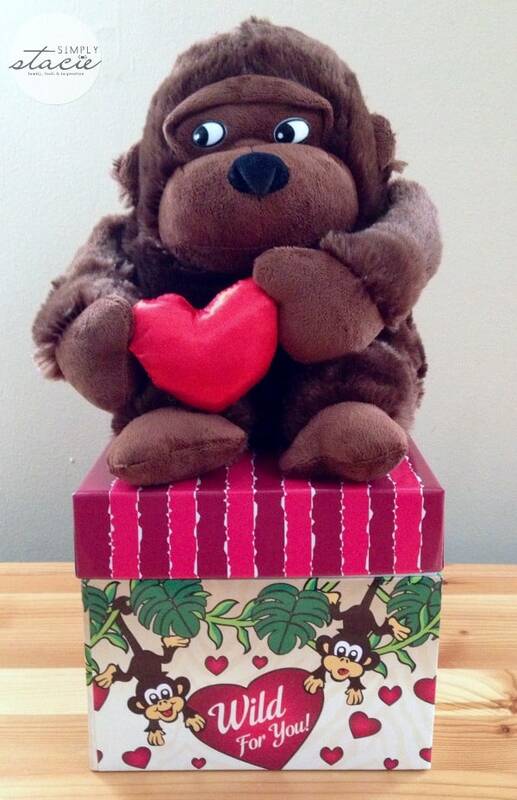 It’s a nice size gift for children, a special loved one or even grandma and grandpa. The decorative box is sturdy and my boys are now using it to store some small action figures. At $39.99 this is a nice gift at a nice price – the perfect Valentine’s Day surprise for anyone on your list. As a member of the 1-800-Flowers.com family, 1-800-Baskets.com is committed to making a better gift basket. They believe in using the best quality products in their baskets and dedicate themselves to detailed presentation and artisanship. They source materials from all over the world to give their customers a great product at a great price for every occasion. You can see all the gift-giving possibilities on their website. 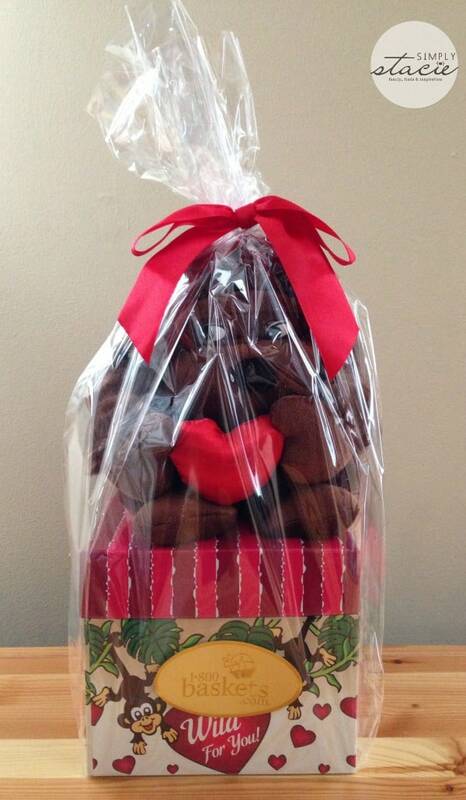 I would love the Fannie May Love & Romance Chocolate Strawberries… I’d even share them with hubby!! I would love to get the giant fortune cookie! I know someone special who would love it! 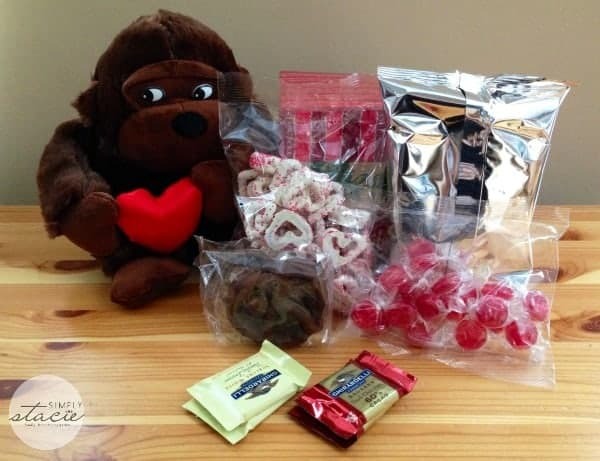 I like the Foxy Plush & Sweets Valentine Basket. I would like to have the Starbucks® Fan Favorite Coffee Basket. I like the New Baby Boy Gift Basket Grand Essentials. I would love the fannie may decadent chocolate covered strawberries! They look so yummy!! i would also love to get the sweet ride valentine gift. i am tony l smoaks on rafflecopter. I would like the Chocolate Covered Strawberries. What I want is the Bacon, Bourbon, and Beer Market Box!!! I would like to have the Sweet Ride Valentine Gift basket. The Godiva Grande Valentine Chocolate Basket would be awesome! I would love to receive the Bountiful Love Valentine Gourmet Hamper Basket! I would love the Fannie May Favorites Chocolate Strawberries. The Starbucks® Break Time Basket! New baby boy gift basket! I would like to have the Fannie May Pixie Chocolate Covered Strawberries. i would love the just because, deluxe balsam basket! I would love the Premier Fruit Get Well Gift Basket.